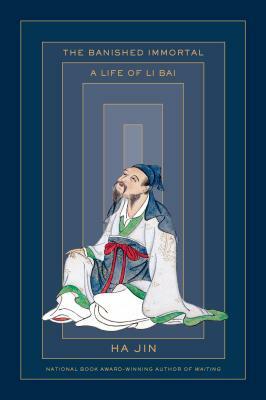 In his own time (701–762), Li Bai's poems—shaped by Daoist thought and characterized by their passion, romance, and lust for life—were never given their proper due by the official literary gatekeepers. Nonetheless, his lines rang out on the lips of court entertainers, tavern singers, soldiers, and writers throughout the Tang dynasty, and his deep desire for a higher, more perfect world gave rise to his nickname, the Banished Immortal. Today, Bai's verses are still taught to China's schoolchildren and recited at parties and toasts; they remain an inextricable part of the Chinese language. With the instincts of a master novelist, Ha Jin draws on a wide range of historical and literary sources to weave the great poet's life story. He follows Bai from his origins on the western frontier to his ramblings travels as a young man, which were filled with filled with striving but also with merry abandon, as he raised cups of wine with friends and fellow poets. Ha Jin also takes us through the poet's later years—in which he became swept up in a military rebellion that altered the course of China's history—and the mysterious circumstances of his death, which are surrounded by legend.